NEW DELHI: The Supreme Court today asked the Center whether those affluent amongst the SC / ST communities should be excluded from getting employment benefits those backward among these communities to "come up." In response, the Center strongly supported the quota in promotions for government employees belonging to Scheduled Castes (SC) and Scheduled Tribes (ST) communities before a five-judge constitution bench headed by Chief Justice Dipak Misra, saying that the "stigma" and "imprint" of caste and backwardness remained attached to them irrespective of the fact that some of them have "come up". Referring to the "creamy layer" concept, Attorney General KK Venugopal said it was devised to exclude the affluent people from other backward classes (OBCs) from availing quota benefits and this could not be applied to SCs and STs as there was a "legal presumption of their backwardness"
"They must marry in their own caste." The top law officer was responding to the bench and asked: "The question is whether or not it is a question of whether or not the" the people, who have come up, should be excluded and those intra-community people, who have not come up, are given the quota benefits. " "There was touchability among the untouchables," he said. "There was touchability among the untouchables," he said. He said it was the President who notifies a class to be SC or ST under Article 341 and 342 of the Constitution, and if any, he has to be "made by Parliament only" and "they (SC / ST) remain backward as long as they remain in the list. " Venugopal also referred to the plight of SC and ST people who had converted to Christianity and said their faith changed, but discrimination, more or less, remained. Caste permeates in Indian society, Justice Nariman said, adding that his religion, Zorastrianism (Parsi), was also 'Hinduised'. However, Venugopal, however, clarified that the quota for SC and ST combined will not go beyond 22.5 percent, but SCG and ST are expected to be backward and there is no need to have quantifiable data to prove that such categories of employees suffered from backwardness. He also said the court has to fix a benchmark to decide how much the quota can be given in promotions. 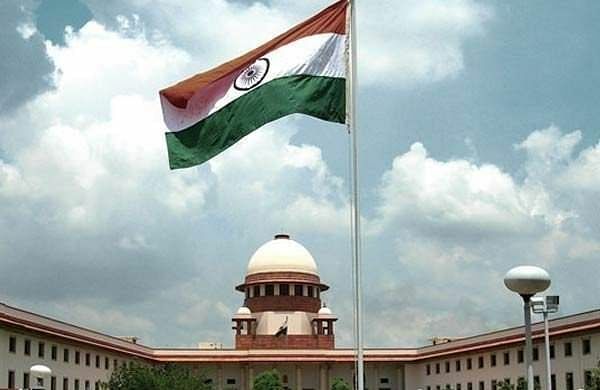 The constitution bench is examining whether its 12-year-old verdict that had dealt with the issue of 'creamy layer' for the Nagaraj judgement, the bench said. reservations to SC and ST categories in government job promotions need to be re-visited by a seven-judge bench.